Hacking into a car's computer system is a real threat. It's been done. The first evidence came when a hacker interferred with a Jeep Cherokee and began over-riding its internal systems. 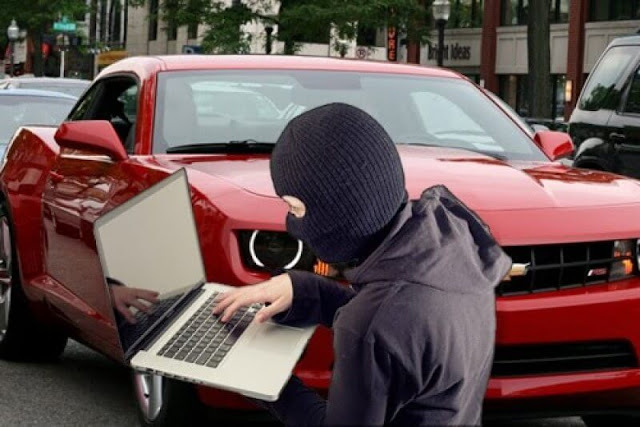 The FBI has issued warnings to the U.S. Federal Government to start thinking about legislating for car companies to build in more protection against hacking. Many experts have warned that more computer-control in cars opens the door to poorly-resolved, faulty, or malware affected software, and hacking. Car thieves in the USA have begun stealing cars using laptops. This is a much more serious problem than it appears, because there is virtually no protection from hackers. Two firms, Israel-based KARAMBA SECURITY and San Francisco startup VOYOMOTIVE have begun developing anti-hack apps and software firewalls, which involve two-factor authentication to foil hacking. I fear there's more to come on this subject. I'm beginning to see that there will never be a sure fire way of protecting a computer from hacks. I mean, short of having government level encryption on our regular every day car systems, I don’t think we stand a chance against someone who WANTS to hack into a car computer. The prices of die cast model cars vary from model to model. Obviously, the price increases with an increase of details and even graphics. Introducing altered answers for all client portions, the organization has concentrated all endeavors towards sorting out the to a great extent sloppy Indian individual ground transportation industry.